After my previous post I received a comment disagreeing with my premise of total absence of good-looking people at the Civil War reenactment events. Well, there may have been one good-looking gentleman at the reenactment but I don’t concern myself with looking at other guys. I will revise my statement to say “rarely you will find a good-looking person at one of these”. 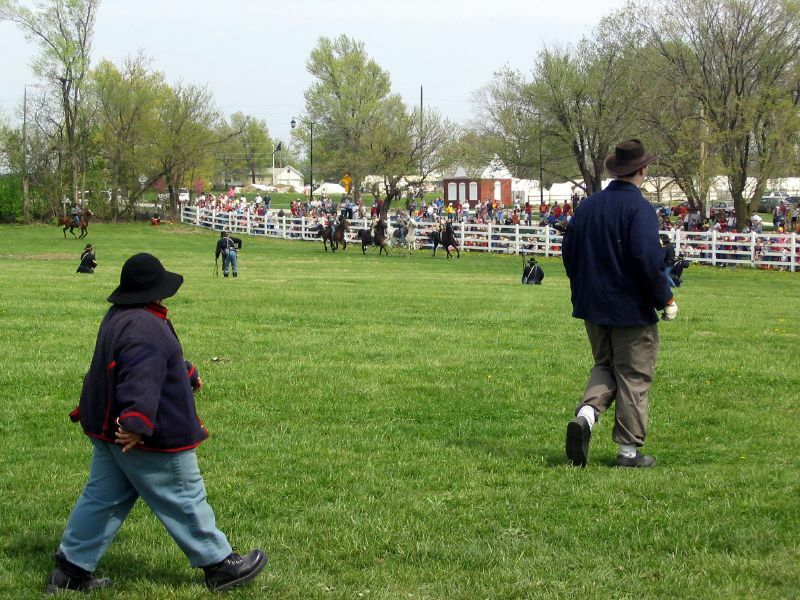 To support my thesis I am posting additional pictures of the Civil War Reenactment in Olathe from one of the previous years. Pay special attention to the one and only “cubic” boy. I wonder how long this boy would have survived in real war conditions.